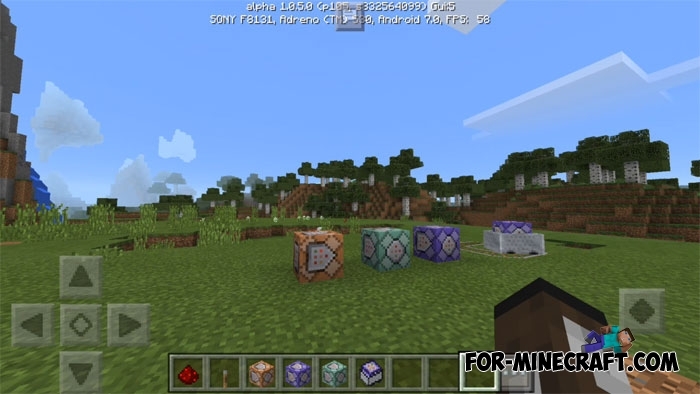 Minecraft PE 1.0.5 - Command blocks! For-Minecraft.com » Minecraft Pocket Edition » Minecraft PE 1.0.5 - Command blocks! Hooray, friends! The developers released a new version of MCPE - 1.0.5, where they added the very same command blocks! But like all beta versions, there are also some bugs here. Some information for those who do not know what it is. Using command blocks, you can influence worlds with the help of console commands. But this block only works if you are the server administrator or the creator of the world. That is, you can create your world and call the players, but the command block will only work for you. In addition, MCPE does not allow you to craft the block, you can only get it through the command. Command block operate using redstone, ie the command block will execute your command after you put redstone wire, a lever and activate it. There are a lot of text commands that give you great abilities. It is unfortunate that the developers have not added an adventure mode, although it is possible they will do it in the next version. 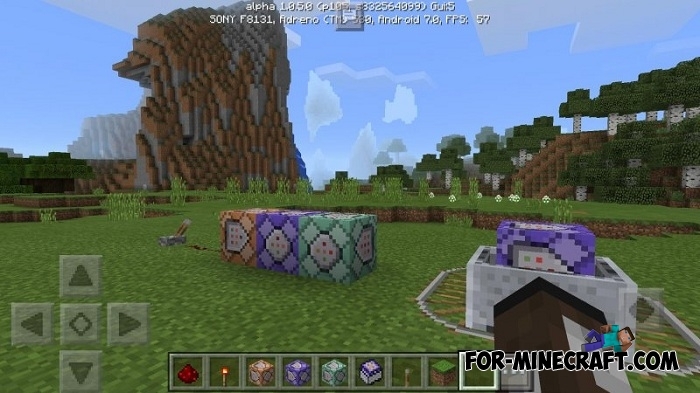 Command blocks are mainly used in this mode to create special maps (the main feature is the inability to destroy blocks and there are still some restrictions). Anyway, the command blocks operate in single and multiplayer modes. If you have a MCPE server, then you can easily execute these commands with players. How to get the command block? At the moment there is a small bug with blinking chat. Type the following command: /give @p [name]. It is impossible to describe all the available possibilities. Put the block in the right place and tap on it. The interface has been changed and does not look like the PC version of Minecraft. But it's even more convenient and great for touch devices. Ultimately, there are an unrealistic number of commands through which you can receive any items, experience, spawn mobs and perform other commands.